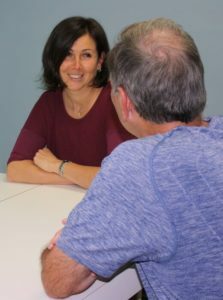 Relationship help | Coach in Northbrook (Chicago) "Hidden Power"
WHO ELSE Is In Your Life Journey? By understanding what our values are, and removing assumptions and judgments, we can create a positive experience with ourselves and others. All of us have thought and communication triggers that evoke a positive or negative progression of impressions, emotions, and reactions­ — as in a domino effect. We fail to admit that we need help with our relationships. Communication can be blocked and our successes, diminished. Recognizing and knowing what to do, and not do, can determine whether we are true to ourselves, or not! Learning about how we react to our thoughts and life experiences teaches us about levels of energy — where others are, where we are, and how to rise to a higher level to communicate more effectively and live the life we desire. Levels of energy, as defined by the Institute for Professional Excellence in Coaching (IPEC), include a range of negative or positive thoughts, attitudes and behaviors. Although pain is unavoidable in life, by taking steps to advance our levels of energy, we can minimize our suffering from negative situations. If we avoid dealing with our problems, and fight with or blame others for them, then we won’t be capable of envisioning possible solutions. And finding solutions is the path toward better health and happiness! Hidden Power coaches will teach you simple things that will change your life. So when we understand why we are experiencing certain feelings, thoughts and emotions, we can start to take responsibility for them — by knowing what’s important to us — and alter our actions, situations, and relationships. Likewise, as we are able to understand why we act or react certain ways, we can understand why others do as well. When we are communicating, we are able to understand other’s values and “read between the lines.” Solutions can be negotiated that are acceptable to both parties. For example, learning why someone engaged in a particular action sheds light on our understanding, diminishes our judgment, and leaves us with compassion. By raising our level of energy, we are able to better understand what another person is saying. At the core, we become conscious of who we are, connect to ourselves, and our life purpose. Never be afraid to ask an experienced coach for assistance to heal and maintain rewarding relationships! Planning helps also. The Energy Leadership Index, an attitudinal assessment, measures awareness of a person’s identity and where they are, in the scheme of life. It also determines how well they are able to lead — defined as positively influence — themselves, and others. Particular attention is given to positive and negative thoughts, and outlook, on life. Leadership is defined as an interaction where influence occurs. Clients are able to analyze input, from themselves and others they work with, on how they interact with others and handle tasks and problem solving. Learning to shift energy helps people to inspire and motivate oneself and others, increasing one’s success in life! If you want to improve your relationships, trust a professional trainer. Your Hidden Power life coach will unveil the cause of problems that are hidden from you. Confidentiality, within legal limits, is guaranteed.